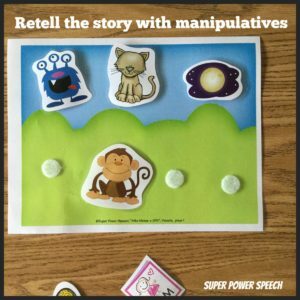 One of the best things that happened to my therapy was when the life skills teacher and I decided to implement the “letter of the week”. 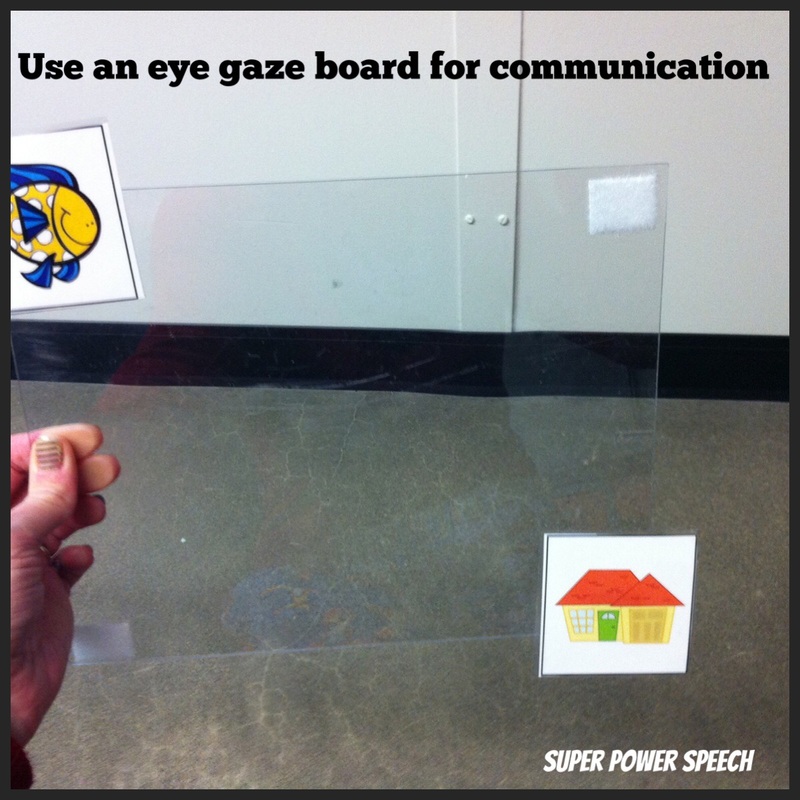 Since then, I have been designing speech materials that coordinate with the letter. It give me a great jumping off point for therapy! For example, I created 26 alphabet books to use with my classes. “A-Z Alphabet Books for Me” are themed by the letter, and contain visual comprehension questions at the end, so even my non-verbal students can participate. 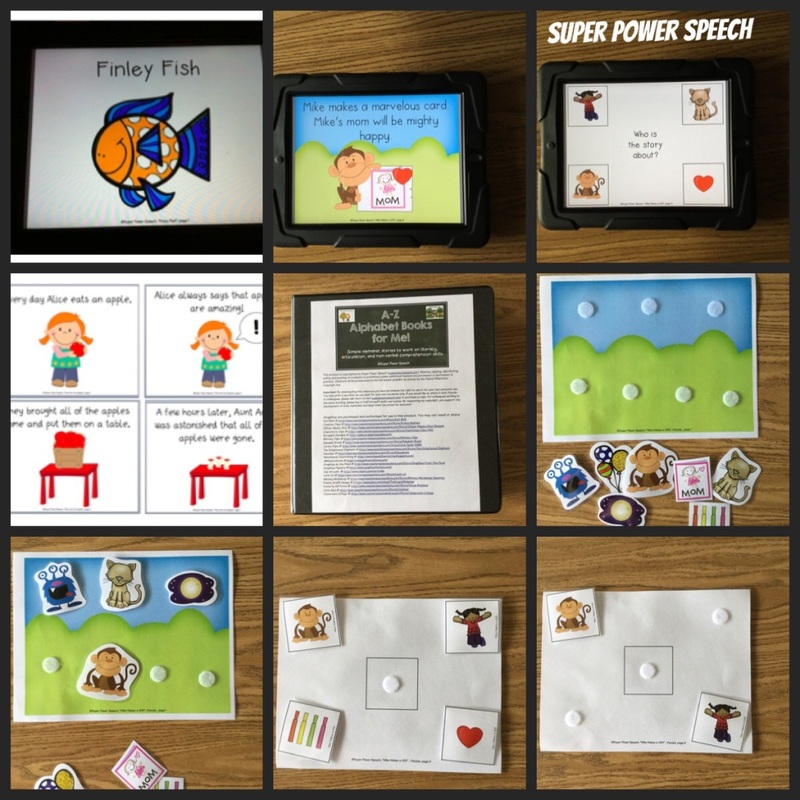 My favorite feature of these books is that I can download them onto my iPad so they are always available to use within the classroom or speech room! 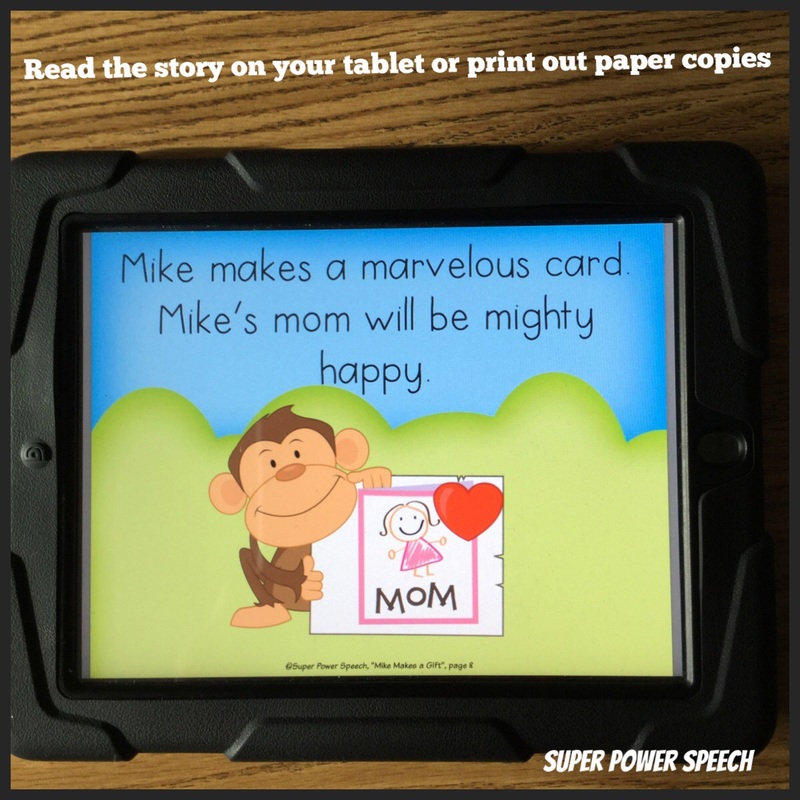 “A- Z Alphabet Books for Me” stories were designed with the iPad in mind (my kids love the glowing screen! ), but you can print the stories as well for paper books. Each story is 8 pages long with cute characters, a problem and a resolution. After each story are 4 comprehension questions with picture choices. 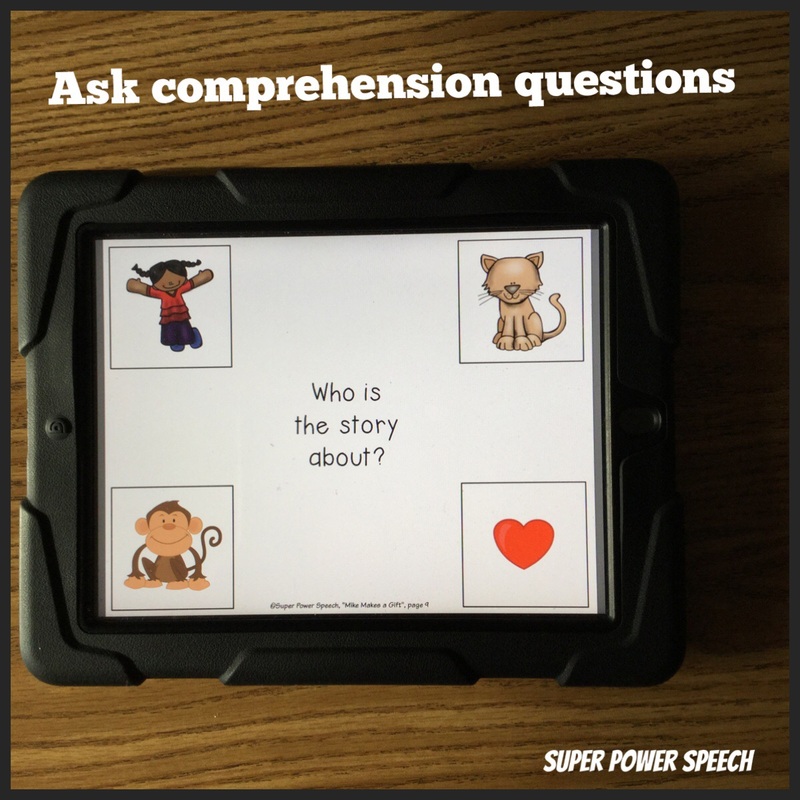 My students love to answer questions after looking at the choices on the iPad, but visuals are not necessary. 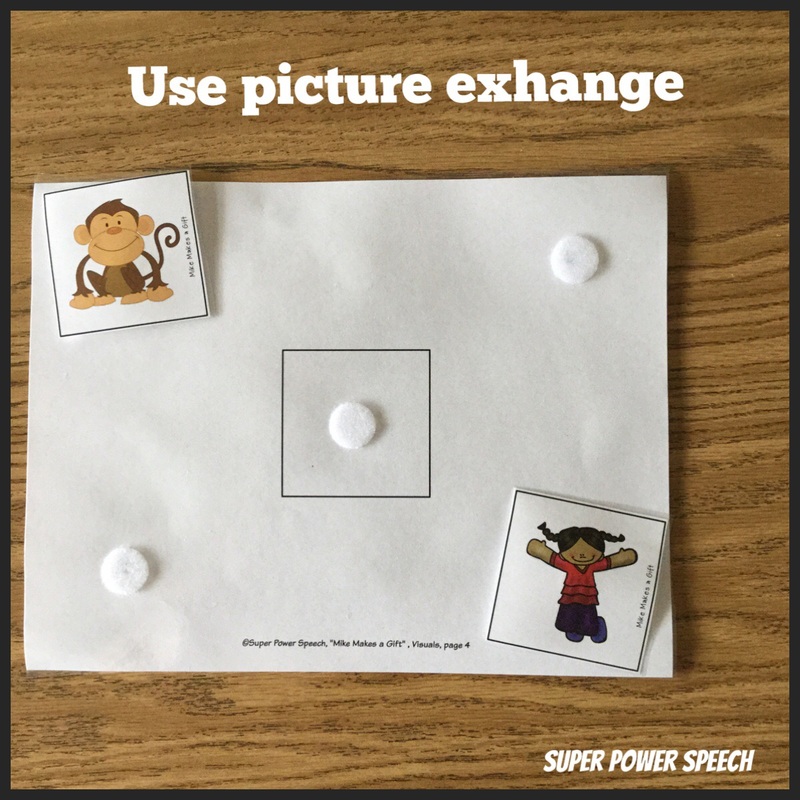 For some of my students, 4 pictures is too many. So there is a board and manipulative pictures for each story. For higher level students, you could also mix these choices around every time so the answer options are not stagnant. 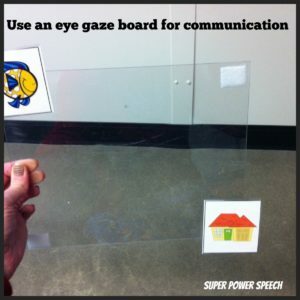 This method also works extremely well for eye-gaze communicators. I am currently using the books with one student who is choosing answers from a field of 4. 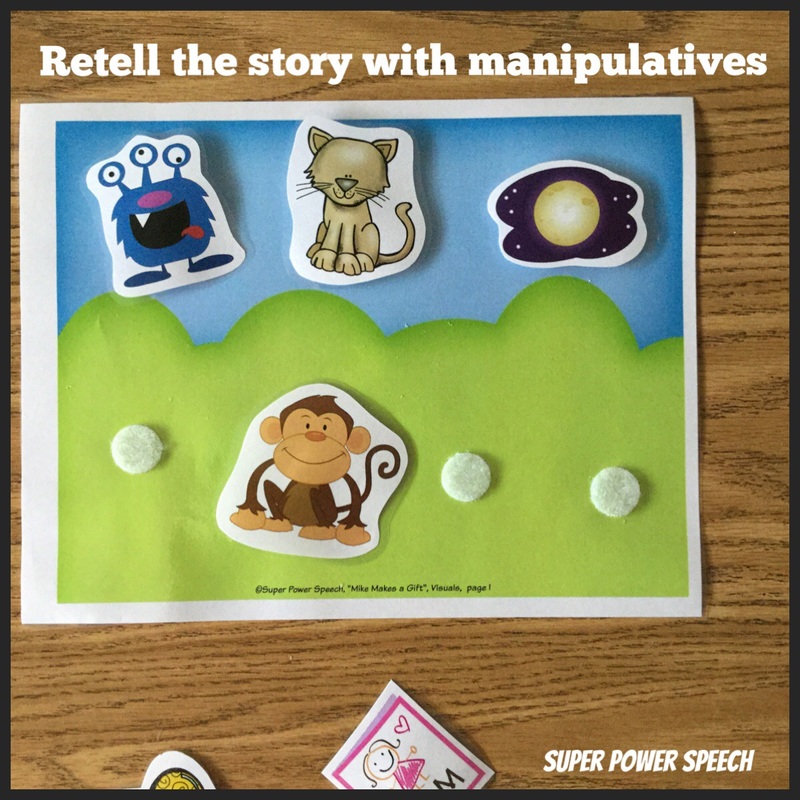 Each story can easily be used for a week or more, meaning that you have over 26 weeks of thearpy material to work with! 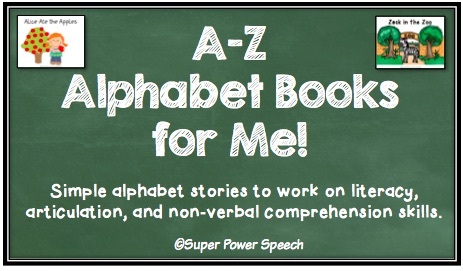 Get your copy of “A-Z Alphabet Books for Me” here!